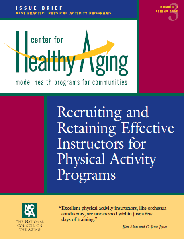 Category "Books on leading exercise with older people"
There is a really nice briefing about the recruitment and retention of instructors of activity and exercise for older people. Written by Dr Jessie Jones and Dr Debra Rose, this document is a must read for project coordinators and training providers. Susie Dinan and colleagues at Camden and Islington PCT put together a resource for people wanting to set up or quality assure falls prevention exercise sessions. This resource has been made available freely so that you can adapt it for your own setting. Click here to download. 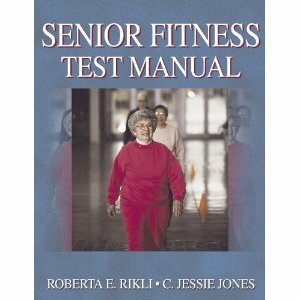 Senior Fitness Test Manual: Easy-to-Use Way of Measuring Fitness Levels in Older Adults by Roberta E. Rikli and C. Jessie Jones. Available from Human Kinetics. ABLE Bodies Balance Training – by Sue Scott, offers an activity-based program to improve balance and mobility for both fit and frail older adults. 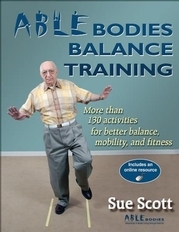 This practical instructor’s guide provides more than 130 balance and mobility exercises that enhance older adults’ abilities to maintain balance in completing their everyday tasks. Available to buy from Human Kinetics. Produce innovative, informative products in all areas of physical activity that help people worldwide lead healthier, more active lives. The greatest challenge facing Human Kinetics is to convert all information about physical activity into knowledge–information that people can use to make a positive difference in their lives.